Thank you, Nicki, for allowing me to guest post on your blog. I appreciate the opportunity to introduce my book to a new audience! Like most time travel stories, The Mine deals with constants and variables. The constants are usually the protagonists, who remain (at least physically) unchanged as they travel from the present to the past or the present to the future. The variables are the times, the places, and the people they meet. More often than not, these times, places, and people are strangers to them. In Michael Crichton's Timeline, for example, American archaeology students travel from modern-day New Mexico to 14th-century France. Though the students have extensively studied the Middle Ages, they know them only from their research. They do not find castles in ruins or relatives they have known. They find a strange new world. Such is not entirely the case in The Mine. Like Marty McFly in the 1985 film Back to the Future, my protagonist, college senior Joel Smith, travels to the recent past and sees places and people that are all too familiar. He visits his childhood home, pays a call on his old high school, and spends several months in a city – Seattle, Washington – that he's known his whole life. He returns to a tavern that has existed for decades and participates in activities, such as homecoming football games, that are much like the ones he has known. Most important, he meets his grandmother as a young woman. In more ways than one, Joel finds 1941 much like 2000. I pursued the recent-past/familiar-setting angle when writing The Mine because I wanted the best of both worlds. I wanted a story where the protagonist struggles with living in a different era and can change his fate. Joel is not a helpless victim of circumstance caught up in flow of time. He is an active participant in fashioning his future. He arrives on the scene at a critical moment in not only America's history, but also his family's history. He knows the war that rages around the globe will soon come to the United States and that his grandmother may make a choice that could affect his very existence. But the knowledge that he carries into the past is not knowledge he chooses to share with others. Joel Smith's journey is, in many respects, a lonely one. But it is not devoid of the very things that make any life worth living. The pampered, cavalier student grows up a lot in six months. He falls in love and has a few laughs. He rediscovers a beloved relative and learns anew the meaning of friendship, redemption, and sacrifice. He asks the big questions – questions those of us stuck in the present will never have to answer – and tests himself in countless ways. 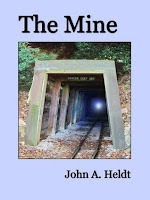 The Mine is a novel that views what many consider a simpler age through the eyes of a complicated modern man. I encourage readers who like to ponder the "what ifs" of time travel to give the book a look. I think you will find it as enjoyable as it is thought provoking. John A. Heldt is a reference librarian who lives and works in Montana. The former award-winning sportswriter and newspaper editor has loved reading and writing since writing book reports on baseball heroes in grade school. A graduate of both the University of Oregon and University of Iowa, he is an avid fisherman, sports fan, home brewer, and reader of thrillers and historical fiction. 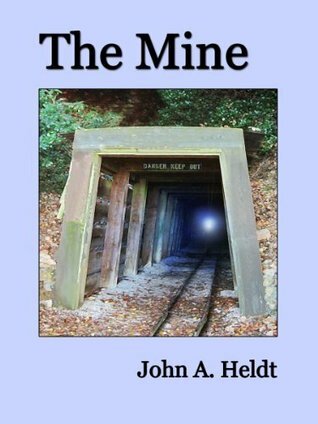 THE MINE is his first novel. Find out more about John at his blog.